The Portland Trailblazers have already clinched a spot in the playoffs, their sixth consecutive since 2013-14. As of April 4, Portland was one of four 50+ game winners in the Western Conference, and was sitting in second in the Northwest Division behind Denver. 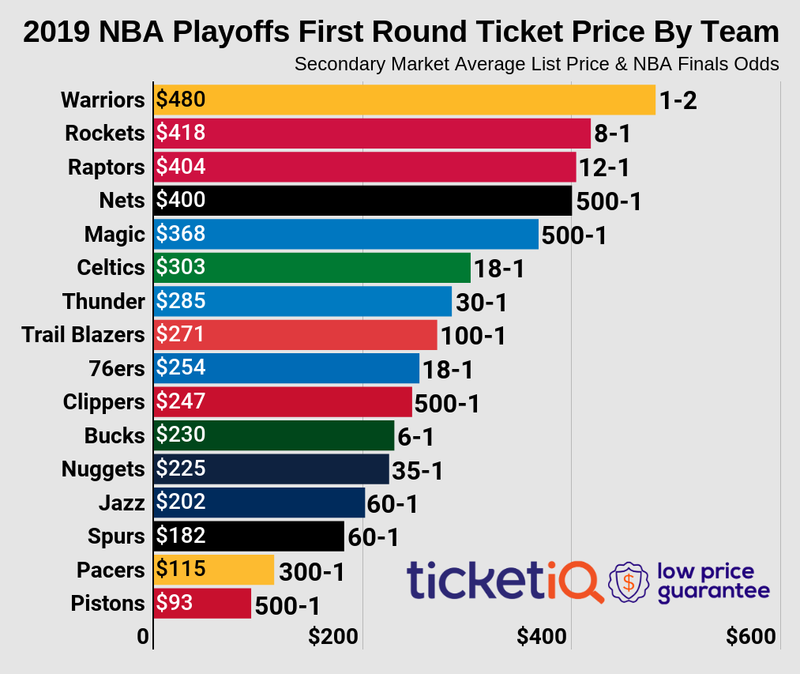 During the regular season, the Blazers had the third cheapest average asking price on the secondary market among NBA teams, according to secondary ticket marketplace TicketIQ.com. The $92 average marked a drop of nearly 19% from 2017-18, when the average was $113. There is usually more demand for playoff tickets. According to TicketIQ.com, postseason tickets are generally 54% more expensive than regular-season tickets. Primary market tickets are now currently available via Ticketmaster. If you missed out on the Ticketmaster on sale, Blazers fans can still get face-value tickets for the playoffs, through Shoowin.com, a unique ticket seller. The company allows fans to reserve face-value tickets to big events and then purchase the tickets when the event becomes available. The company website says fans can save up to 98% over other ticket-selling sites. Shoowin has reservations for most potential NBA playoff games at Portland, though the market for the first round are already closed, according to the site. Should the Blazers get deeper into the playoffs, fans can reserve tickets for home Western Conference semifinal games starting at $10 for home Games 1 and 2, and $40 for potential home Game 4. Western Conference finals reservations range in price from $4-$14. If the Blazers get to the NBA Finals – which would mark the first time since 1991-92 – fans can reserve seats at Portland starting at $15. Portland has won one NBA title since joining the league as an expansion team in 1970-71. It beat Philadelphia in six games in 1976-77. The Blazers went to advance to two other NBA Finals, in 1989-90 and 1991-92, but lost both times. Portland hasn’t advanced past the conference semifinals this century, and has made it to the playoffs 11 times since the start of the 2000 season.